So cute, but simple and classic enough for everyday wear! 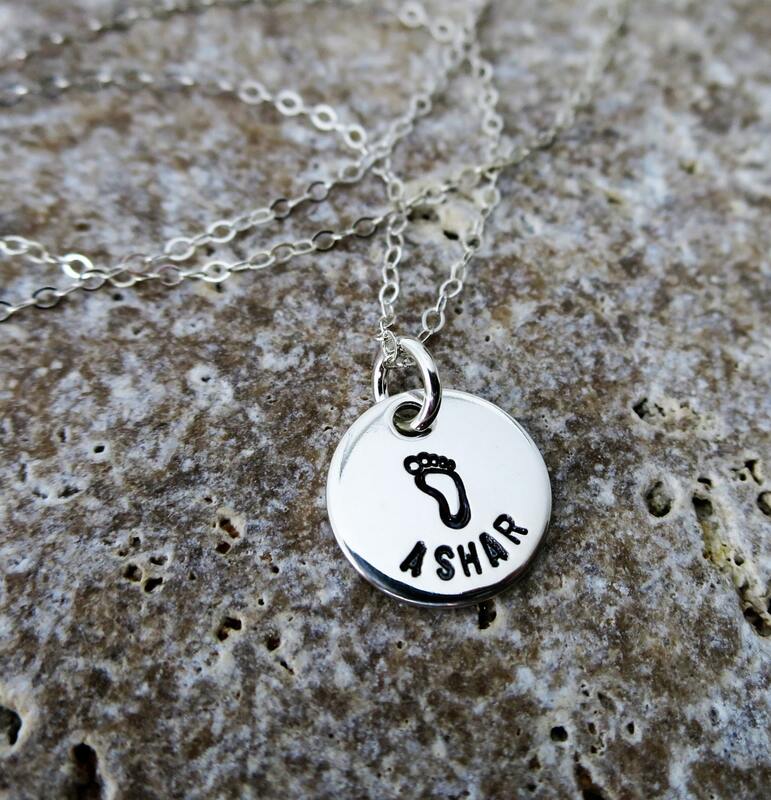 This is the perfect necklace for the mom-to-be or new mom! The pendant is 1/2" in diameter (petite!) and 18 gauge thick sterling silver. It is paired with a delicate sterling silver cable chain (as shown) or box chain in your choice of 16", 18" or 20". 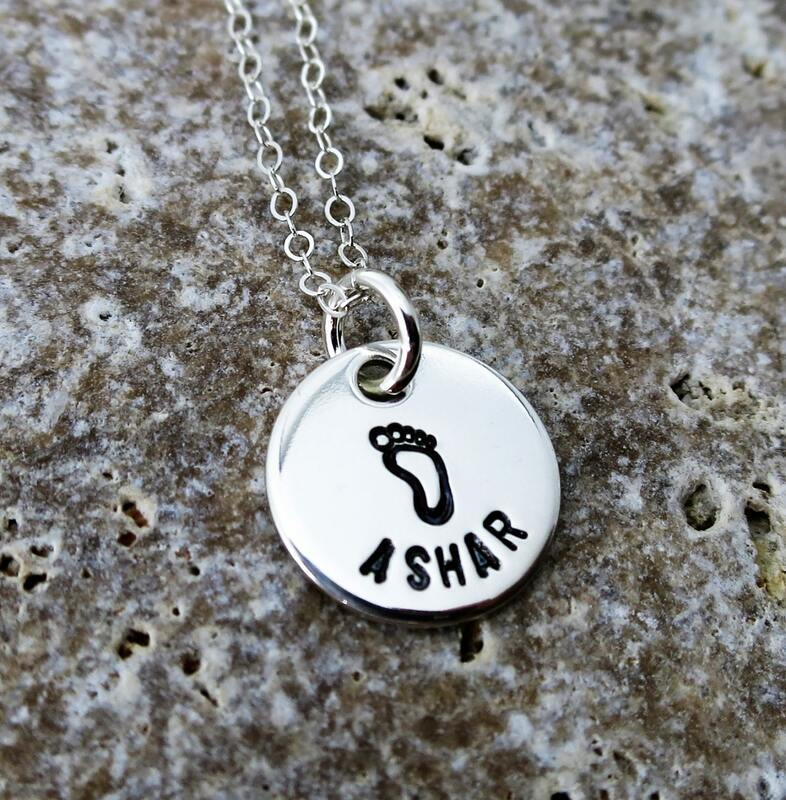 The pendant will be hand stamped with the name of your choice, along with a small foot print. It will then be polished to a high shine. The text and foot print will be ink darkened for contrast. Please note your name to be hand stamped in the "Note to Seller" box at checkout. I can do multiple discs if you'd like too - message me and I'll set up a custom listing for you!